Brown’s appearance at Scullers is part of a dynamic series of performances curated by the venue’s new manager, Jan Mullen, for Black History Month. Tickets for the show are $30, with a 50% discount available to students at the door. For more information, follow this link. I’ve been attentive to Brown’s music since his first release — the 2013 album Transcendence — which premiered at the DROM in NYC’s Lower East Side to rave reviews. His release Work Songs was included in my feature on the best jazz albums of 2016. 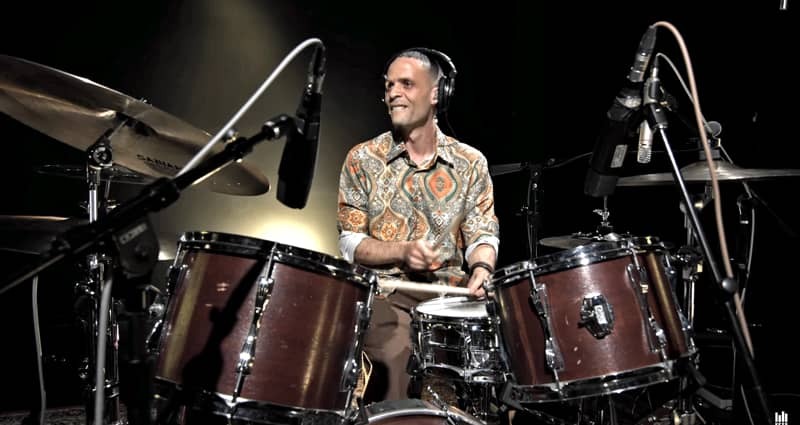 Brown’s work as a sideman reflects a diversity similar to his compositional aesthetic, having performed with Stevie Wonder, Carlos Santana, Q-Tip, Bobby Hutcherson, Greg Osby, Joe Locke, David Murray, and still others. Through his teaching and activism Brown’s commitment to empowerment and youth outreach provides a compelling model for socially conscious artistry in the 21st century. A graduate of William Paterson and Rutgers University, Brown also served as a Jazz Ambassador for the U.S. State Department “Rhythm Road” project run by Jazz at Lincoln Center. As part of his visit to Boston, Brown will be visiting Northeastern University for an “Open Classroom event,” where he’ll meet with community members, University faculty, staff, and students (including those in my ‘Musical Communities of Boston’ and ‘Hip Hop in the Music Industry’). This event is open to the public and will begin at 11:45am at the Cabral Center. Co-sponsors for Brown’s visit include Northeastern’s Department of Music, Department of Cultures Societies & Global Studies, the Center for the Arts, and the O’Bryant African American Institute. For more information, contact me at m.lomanno@northeastern.edu.